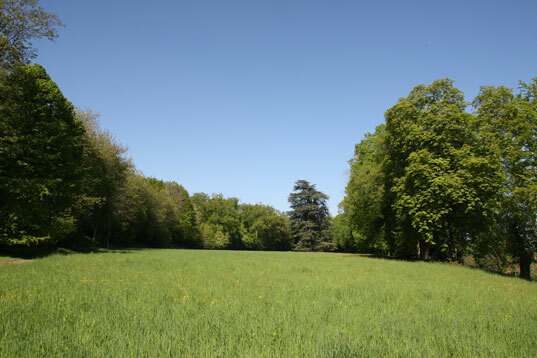 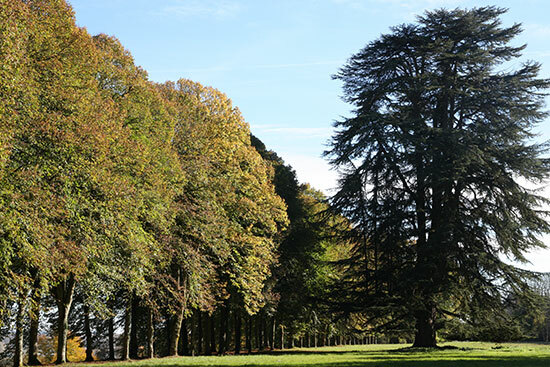 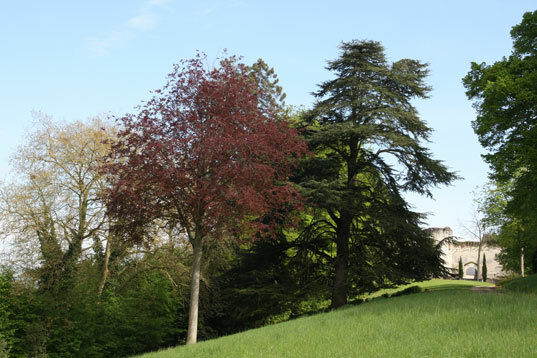 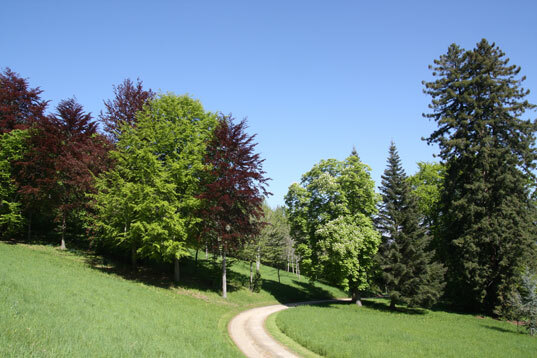 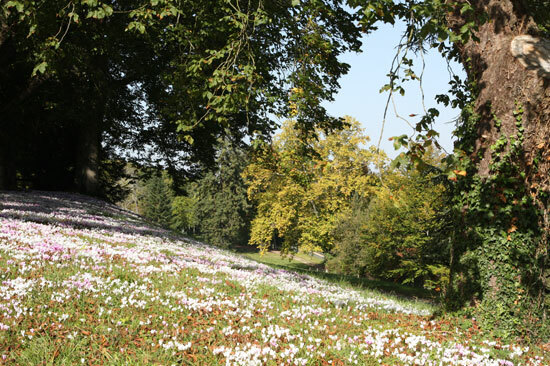 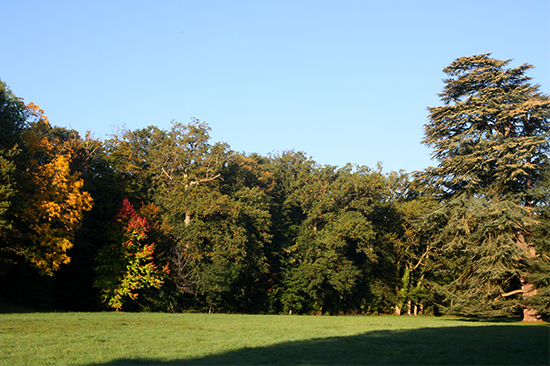 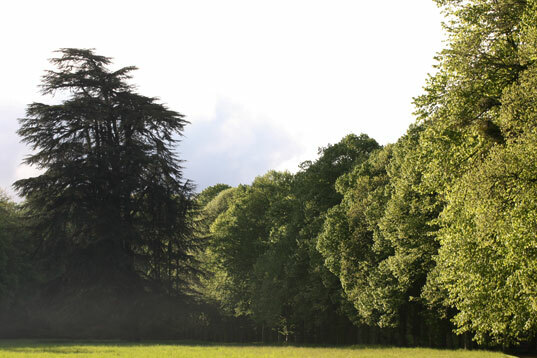 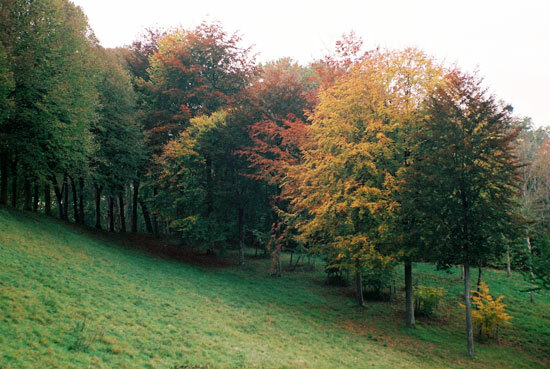 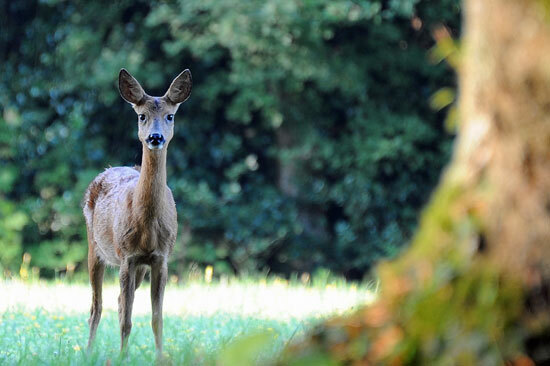 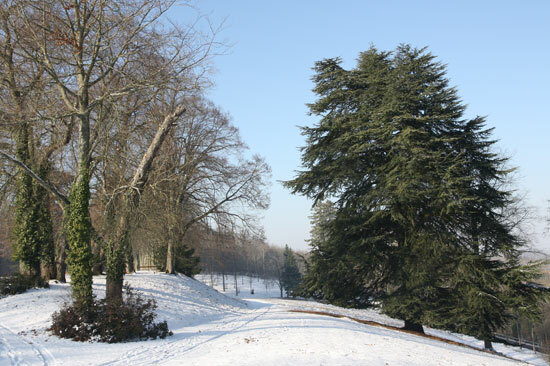 To the west of the château, a vast private park extends across the hillside. 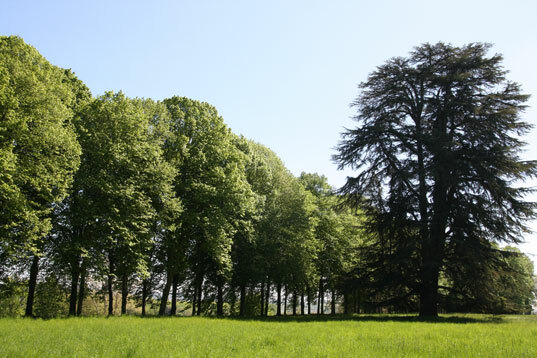 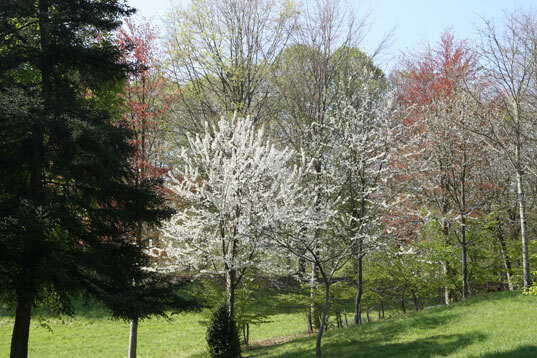 Carefully maintained over the centuries, it shelters a large variety of specimen trees and is a fecund preserve for native wildlife and plants. 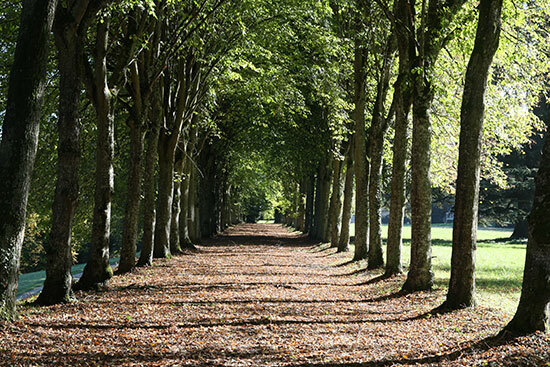 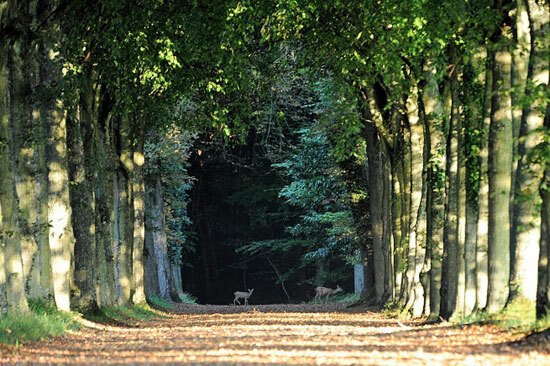 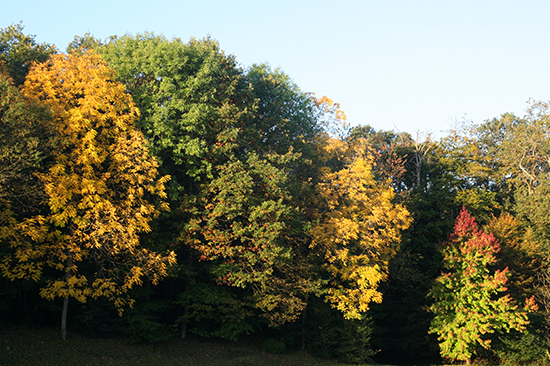 Alleys of trees dappled with sunlight, encourage peaceful walks in communion with nature.